This building has been erected for the Oxford School Board, to accommodate about 300 girls, and is situated in New Inn Hall-street. It also contains a cookery centre and a pupil teachers’ centre. The school has a stone front, and the roof is covered with Yorkshire stone slates. Messrs. Kingerlee & Sons, of Oxford, were the builders, and Mr. Leonard Stokes the architect. The drawing is exhibited at the Royal Academy. 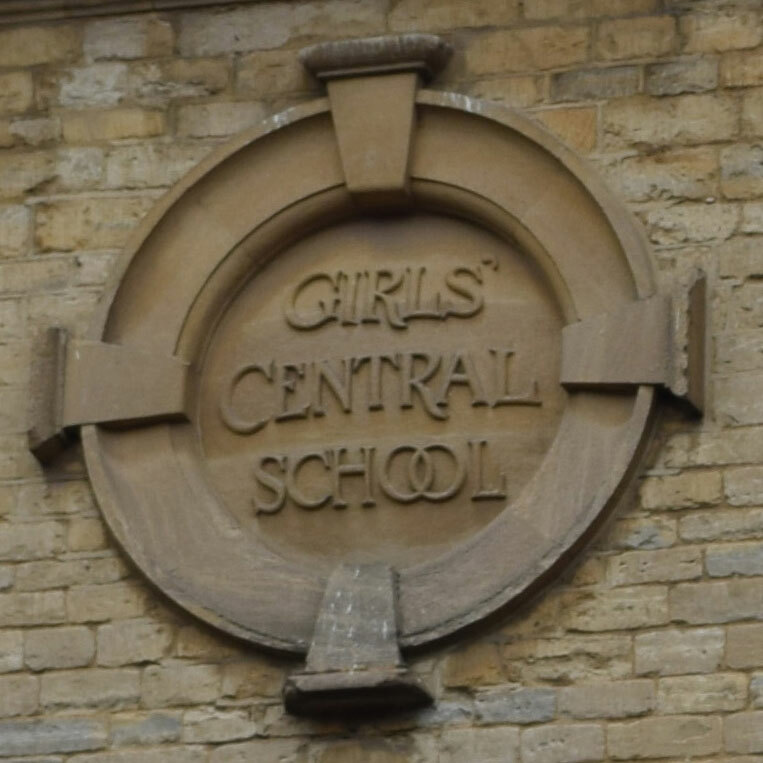 The original Central School for Girls had been founded in about 1797 and occupied the old Wesleyan Chapel in New Inn Hall Street. 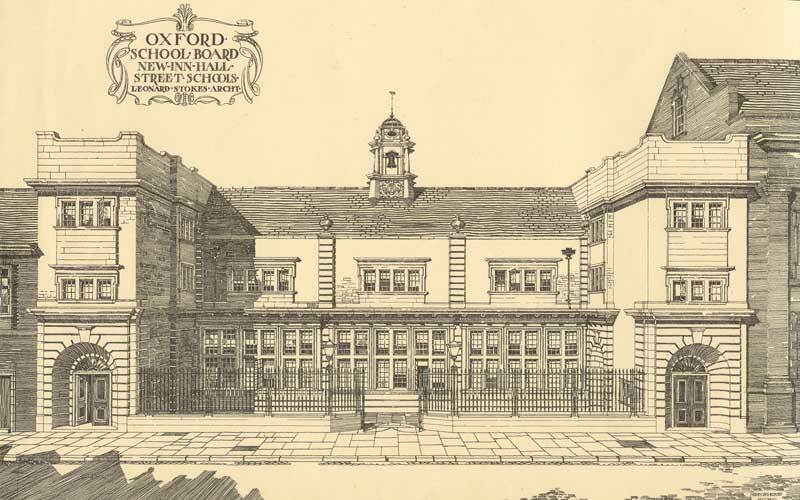 The Oxford School Board took it over in 1898 and bought another site in that street from Balliol College for this new, purpose-built school building. 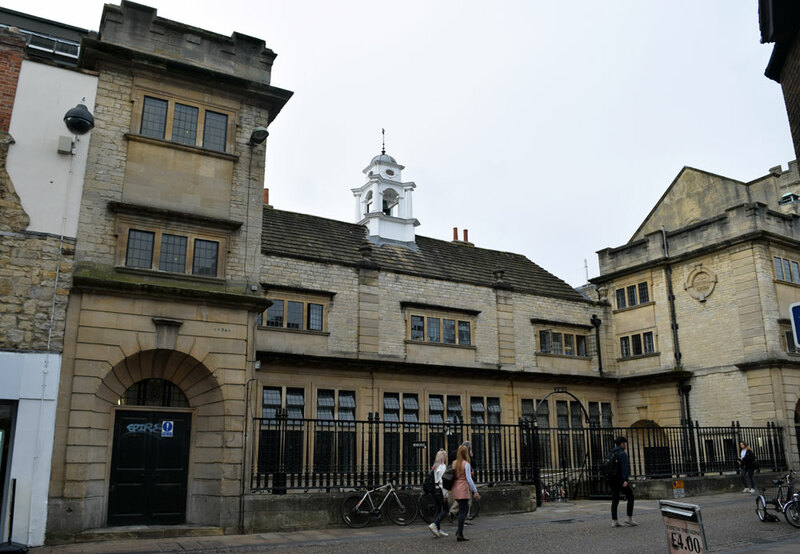 It was described by Pevsner as “not really like any other Oxford building”. The girls moved in towards the end of 1900, and the building was formerly opened by Sir William Anson in January 1901. Girls’ Technical School (in St Ebbe’s until 1954). School dinners were taken in the Hall of New Road Baptist Church, which was adjacent to the school. The girls went to the nearby Wesley Memorial Church Hall for PE, and for outdoor sports had to walk to the field in Manor Road. The school moved up to Gipsy Lane in Headington in 1959, becoming Cheney County Secondary Girls’ School, and its former building (below) is now part of St Peter’s College.